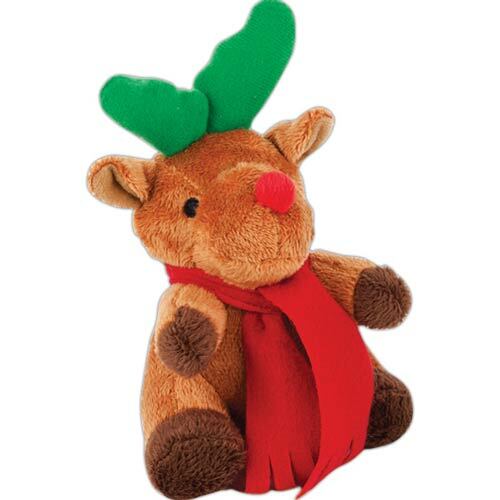 Christmas Plush Reindeer A prefect giveaway for the holiday season.Includes an unimprinted scarf (Imprint is available). T-Shirts are additional $1.12/ea. Bandanas and Ribbons are an additional $0.82/ea.